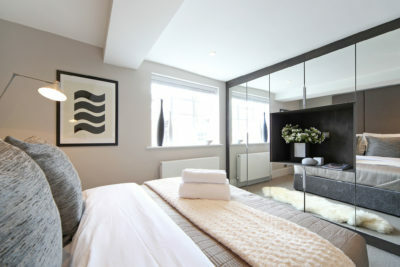 LCP specialises in maximising investors’ returns in the rental sector in Prime Central London (PCL). 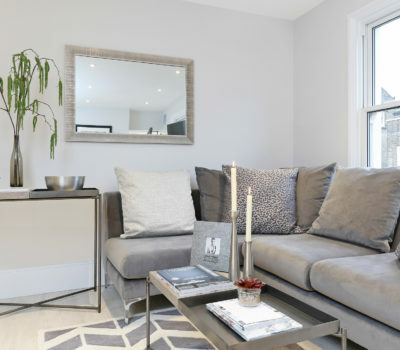 We are not simply a buying agent but provide a holistic approach to asset management, including property sourcing, renovation, interior design, letting and management. All underpinned by sophisticated financial modelling and all handled under one roof. Start by outlining your investment objectives and property requirements. LCP will help refine your brief and ideal purchase price, taking into account your all-in budget, taxes, costs and fees. You engage LCP and agree a date to view potential properties. Using our extensive contacts, LCP’s Search & Acquisition team screen the market for the best on and off market opportunities. We compile a shortlist of recommendations including budgeted costs and anticipated returns. You meet LCP for a tour of properties, followed by a full de-brief. Having selected your preferred property, LCP negotiates the most competitive purchase price. LCP manages the acquisition process, coordinating professionals such as managing agents, lawyers, mortgage brokers and tax advisors. LCP deals with any issues that arise, providing you with regular updates. When legal work and mortgage offer are finalised, contracts are exchanged, normally with a 10% deposit. Legal completion date is agreed, normally around 4 weeks later. Between exchange and completion, LCP’s Refurbishment team draw up a full specification of works and get approved contractors to tender. 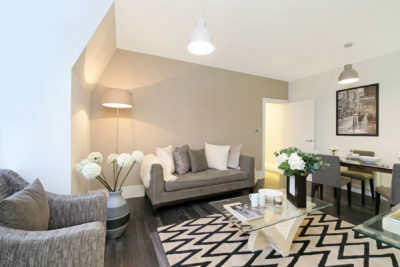 The team provide a detailed proposal and fixed price quote for the refurbishment and furnishings, falling within the budget estimate at shortlist stage. Works begin immediately once licences are obtained and finish within 7 – 8 weeks for a one bedroom unit. 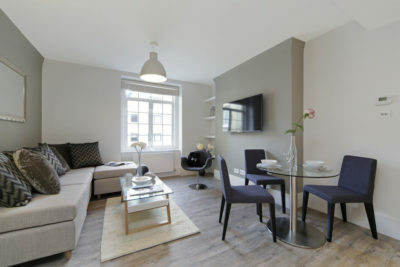 For a two bedroom unit, 11 – 12 weeks is allowed. For larger projects, a fixed time schedule is agreed. 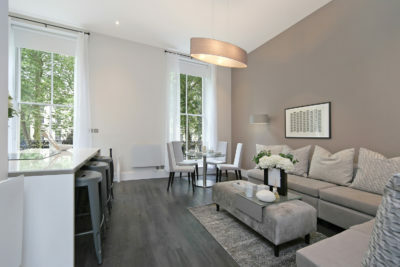 As soon as works are completed, the property is fully furnished and styled by LCP’s interior designers ready for rental. Your property is marketed by LCP’s Lettings team across all internet and industry platforms, relocation agents and HR contacts. Rental offers received are negotiated and prospective tenants referenced and interviewed. LCP recommend the best offer to you and draw up the tenancy agreement. LCP undertake all formalities and assist with tenant move-in and other checks such as inventories. The property is closely managed by LCP’s Property Management department on your behalf, contacting you only when necessary. Rents are promptly remitted to you and supporting landlord statements provided. Unlike UK estate agents who act for the seller, LCP acts for you, the buyer. We represent your interests and help formulate your budget and brief. 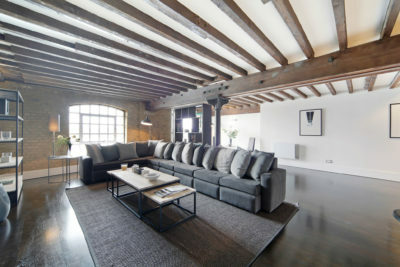 We then screen the whole of the Prime Central London (PCL) market, for the best properties to meet your requirements. Ideal rental investments consist of small, well-located flats which are scarce and in high demand. LCP’s reputation ensures we hear about them first. We put together a recommended shortlist with in-depth financial analysis, including projected costs, fees and rents. Following your final selection, we negotiate the best possible price for you as your buying agent and manage the whole purchase process, meeting tight deadlines in a competitive market. Stock in Central London usually requires complete refurbishment as it is typically located in period buildings and rarely change hands. As project manager and design consultant, LCP provide detailed specifications and fixed price quotes, working with a selected team of contractors. We complete works on time and to budget, furnishing each property immediately after renovation, so it can be let straightaway. 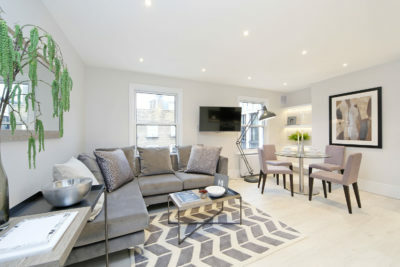 By creating a boutique ‘hotel-style’ look we maximise the properties appeal to blue-chip tenants and create a significant capital uplift – a crucial part of the investment strategy. With each rental investment, our key objective is to deliver the highest returns and best quality tenant, as quickly as possible. LCP proactively market so flats let quickly and our occupancy rates run in excess of 96%. We reference and meet all potential tenants and provide responsible, accountable property management. LCP acts on your behalf at all times, ideal if you want to delegate all day-to-day aspects of property management. LCP specialises in acting for off-shore landlords. Alongside our specialist service for rental investment, we assist home seekers wishing to acquire a property in PCL. We will search on and off market until we find exactly what you want. However, we are not simply a buying agent, our integrated service includes acquisition, refurbishment and interior design. Using our in-house resource, LCP also offers concierge services and provides vacant management for owners who only use their properties periodically. LCP will settle your bills, pay your staff and cater for special requests, before, during and after your stay. With both owners and fiduciaries looking to maximise the returns of prime London assets, LCP can assist through its real estate advisory service. 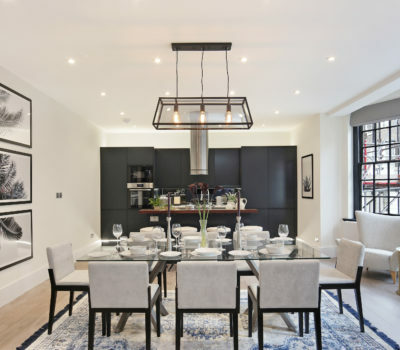 LCP will provide a strategic resource for any real estate decision making, from advising on optimising rental yields, specifying renovation work to enhance assets, to managing the disposal of existing properties. LCP can also provide a coordinated supervisory and maintenance service to ensure existing assets are managed effectively.